Moi International Airport in Mombasa will be the first solar-powered airport in East Africa. That is the purpose of the contract that Solarcentury has just won for the installation of a photovoltaic power plant at Kenya's second airport. The work to be completed within 10 months is part of the "Capacity Building for Reducing CO2 Emissions from International Aviation" programme implemented by the International Civil Aviation Organization (ICAO). Solarcentury, a British company specialising in the design and supply of building integrated photovoltaic products and solutions, has just won a major contract in Kenya. The company, founded in the United Kingdom in 1998, will install a solar photovoltaic power plant at Moi International Airport by 2019 (named after Daniel Arap Moi, President of Kenya from 1978 to 2002). The Mombasa airport hub, an island located in southeastern Kenya, will thus become the first solar airport in the East African sub-region. 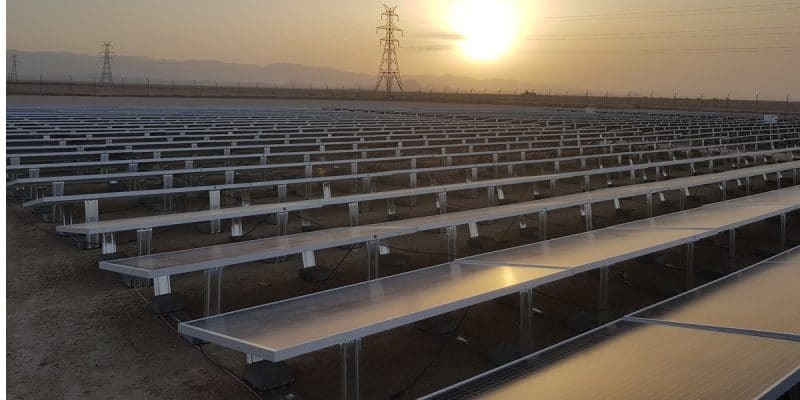 The project includes the installation of a 500 kW ground-based photovoltaic (PV) system, which will generate 820,000 kWh per year and offset 1,300 tonnes of CO₂ per year. Solarcentury will also install airport door electrification equipment consisting of an electrically powered mobile air-conditioning unit and GPU converter (400 Hz ground power supply unit), as well as a large battery accumulator providing uninterrupted power to the pre-conditioned air (PCA), in use. “This is an exciting project for Solarcentury, as it not only announces that the first international airport in East Africa is moving towards solar photovoltaic and battery storage, but also involves the addition of the PCA and graphics processor. This allows aircraft landing here to offset all their carbon emissions on the ground. ”Said Guy Lawrence, Director of Solarcentury in East Africa. Solarcentury assures that the work on the site will take 10 months. The company will then operate and maintain the system for two years and set up two educational kiosks inside the terminal to provide the public with real-time information on output power and carbon emission reductions over the life of the system. The solar equipment at Moi de Mombasa International Airport is the subject of a contract that Solarcentury signed on the 30th of October 2018, with the International Civil Aviation Organization (ICAO). The project is part of an initiative entitled “Capacity Building for the Reduction of CO2 Emissions from International Aviation”, led by ICAO, and funded to the tune of €6.5 million by the European Union. The programme covers 14 countries, 12 in the East African region and two in the Caribbean region. “The implementation of this project is a good example of how to reduce CO2 emissions and achieve greater sustainability in the aviation sector, using renewable energy technologies. ICAO Member States have a strong interest in embarking on these projects and the availability of funds from partners will enable ICAO to support their global replication,” said Jane Hupe, Deputy Director of Environment at ICAO. ICAO, a specialised agency of the United Nations, was established in 1944 to promote the safe and orderly development of international civil aviation worldwide. It establishes, among other priorities, the standards and regulations necessary for the safety, efficiency, capacity and protection of aviation. The organisation serves as a forum for cooperation in all areas of civil aviation among its 192 Member States.